Lurking beneath deep and weedy bays, Northern Pike are monsters that can be really exciting to catch. The large ones are particularly known to put up a fight and their power and speed can easily break your equipment and leave you scarred. So, to get a fighting chance against this trophy fish, we’d recommend investing in the best rod and reel combo for Northern pike fishing. In a nutshell, you want to start with a medium/heavy rod. It should be long enough to allow for a long cast. While at it, you want to keep in mind the fact that these babies have some pretty sharp teeth. They can slice your line with just a single head jerky. So, you want to bank on an open face reel that’s capable of taking a 12 to 25lb line. But with so many reels and rods on the market, finding the right one to settle for might not always be easy. Here now is a detailed review meant to help you make an informed choice and enjoy every moment of your next trophy fishing trip. Resilience is the keyword when it comes to selecting the ideal rods and reels for this species of fish. Here’s a table that has all the details you need to make a firm choice. UglyStik-GX2 Combo makes the best combination of features to catch northern pike, a freshwater fish species. The combo suits both seasoned and newbie anglers and also professional and casual anglers. 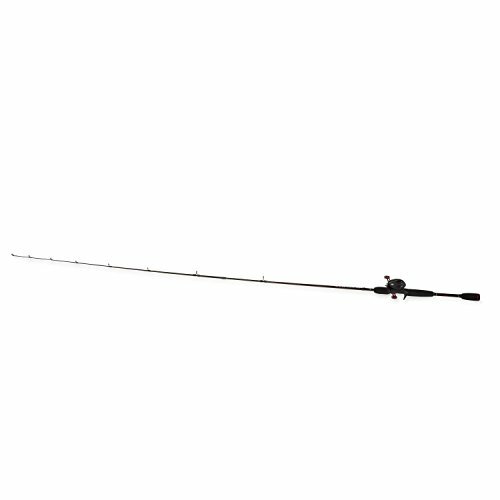 The 7' Medium Heavy rod is a one-piece design for balance, stability, and strength. The rod is constructed from a combination of fiberglass and graphite to give the rod sensitivity, durability and lightweight. In addition, the rod has a Clear Tip design for more strength and responsiveness. The handle has the best ergonomics, with an EVA grip which is lightweight and offers a comfortable grip during extended fishing hours. The reel, on the other hand, has a ratio of 5:2:1 for controlled and faster line release, it also averts line entanglements. It also has three ball bearings which can handle 215 yards of 14 lbs of monofilament line for smooth spinning. The reel has a one-way clutch instant anti-reverse bearing system to prevent the handle from reversing. More so, the reel has an anodized aluminum spool that has an oversized bail wire for durability. Penn-Squall Level Wind Combo is the perfect combination of rod and reel for catching northern pike. 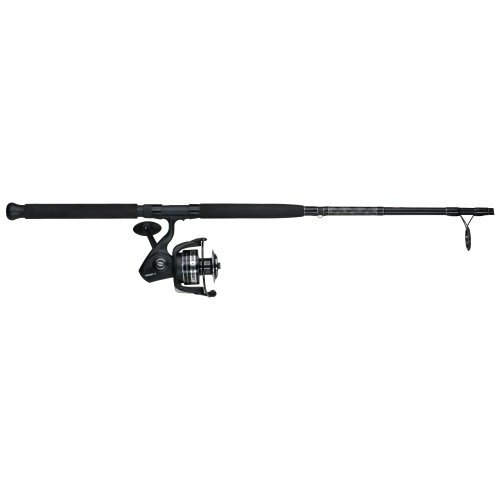 It is a pricey high-end rod compared to other combos. There are two models available. 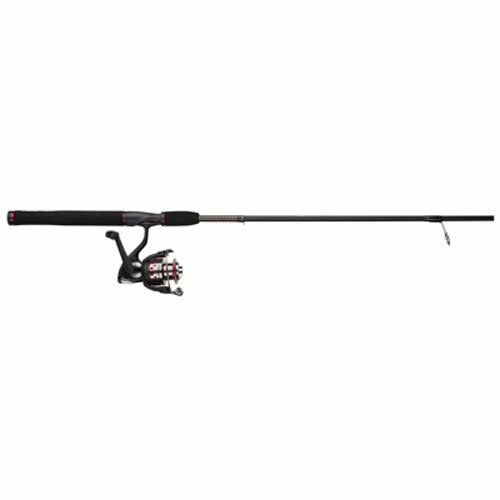 We have the 20-size fishing reel with a 6-foot medium action rod or 30-size fishing reel with 6’6” medium heavy rod. Both rods are good for northern pike fishing. The 30-size fishing reel with 6’6” medium heavy rod. The rod is a one one-piece, tubular glass blank design with a solid tip. The reel has a High-strength grade bronze alloy main gear. It also has a lightweight graphite frame and side plates. The reel uses the HT-100 carbon fiber drag system for smoothness and power. Additionally, it employs the level wind system for even distribution of line over the spool. The reel has 2+1 ball bearings with a gear ratio of 4.9:1 for powerful and smooth casting. In addition, it has an instant anti-reverse to prevent backplay. Improve your northern pike fishing game with the Abu Garcia- Black Max BMAX3/662M. The combo comes at a reasonable cost. The reel features a lightweight, machined spool for more strength. It has a graphite frame and body for durability. More so, the reel uses the power drag system for a smooth drag performance. It is equipped with the Duragear brass gear for durability. In addition, the reel’s compact bent handle provides ergonomics for all day fishing. Further, for consistent brake pressure, the reel uses the MagTrax brake system. The reel comes with four-ball-bearings and one roller bearing for a smooth retrieve. It has a 6.4:1 gear ratio and has a maximum drag weight of 15lbs. The 6'6" rod has medium power. The 24-ton graphite rod is a two-piece construction fitted with stainless steel guides and Titanium oxide inserts for durability. The graphite rod makes the rod lightweight. It has seven guides in total. The High-Density EVA handles are comfortable and durable. Penn-Pursuit II Reel & Rod Combo is a good set-up for catching freshwater northern pike. 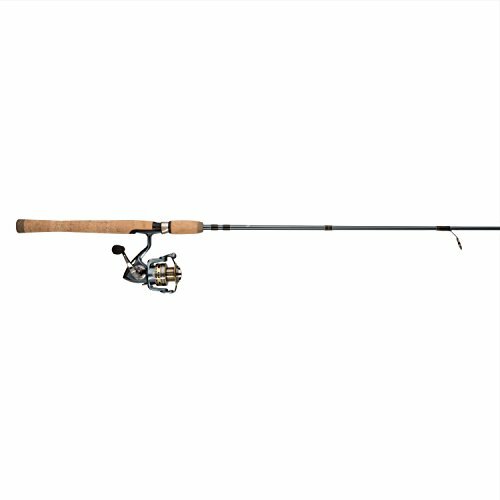 It is an affordable unit featuring the graphite composite rod and powerful Penn Pursuit II spinning reel. Penn Pursuit II &III Spinning Combos are available in various combo combinations. Some rods are two pieces while others are one piece rods. The reels are also different having different gear ratios and drag capacities. The 5000-7 inch medium heavy, one-piece combo. The reel has a five ball bearing system with a maximum weight capacity of 20lbs. The ergonomic handle provides a good grip for comfortable all day fishing. In addition, the reel is designed with an ultralight graphite rotor and body for durability. It also has an aluminum side plate which is durable. Additionally, the reel has a machined anodized aluminum spool for durability. Besides, the reel uses the oiled felt drag system which provide ample drag pressure and smoothness. It has an anti-reverse mechanism to eliminate playback. The reel comes with a 5.2: 1 gear ratio for smooth retrieves. It also has a techno-balanced rotor for enhanced smooth retrieves and high-speed. The one piece 7-inch medium heavy rod has a graphite composite make to give you a lightweight, sensitive and comfortable rod. The rod is fitted with a graphite reel seat and stainless steel guides for durability. In addition, it has EVA grips for ergonomics. Pflueger-Pressp President reel and rod combo make a perfect combination of features for northern pike fishing. The quality combo comes at a reasonable price. 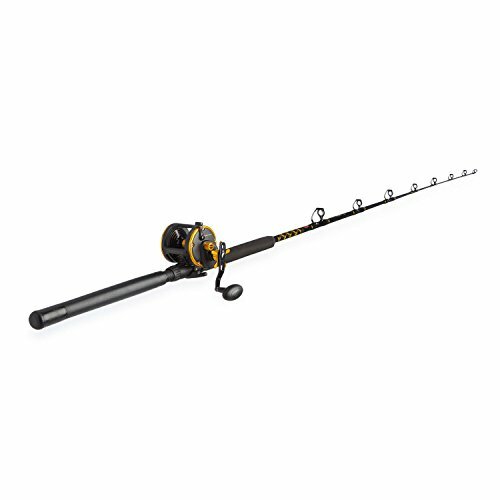 The combo features a responsive ultra light IM-8 rod and President 10- bearing spinning reel. The ten ball bearing system with corrosion resistant stainless steel balls offer unparalleled smooth retrieves. The reel uses the Slow Oscillation Gearing system for improved line laying and minimized line twisting. In addition, the braid ready spool allows braids to be tied directly to the spool. The rod is designed with I-M8 graphite. This is a blank construction for lightweight and high sensitivity. The rod has stainless steel guides which are corrosion resistant for durability. Further, the rod has a cork handle for ergonomics. 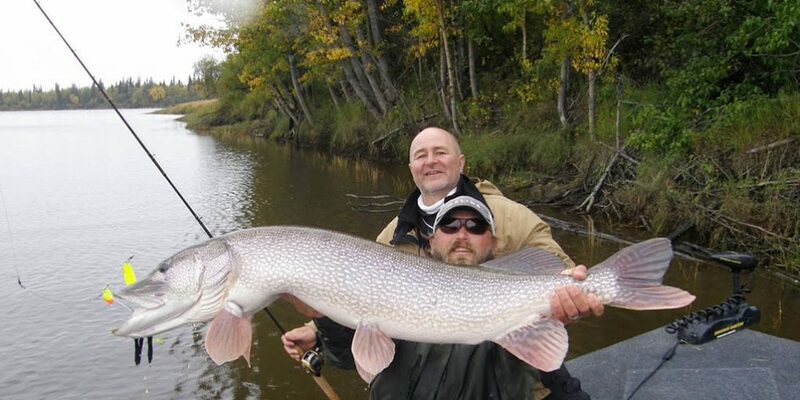 One characteristic of pike is that they are heavy and hard-fighting. Therefore, you want to invest in a rod and reel combo that’s equally powerful. With that in mind, we often do recommend going for rods that are at least 6 feet tall and at most 7 foot. You want the reel to be an open-faced one so it can accommodate a heavy-duty line of between 12 and 25 pounds. Also, you want to think of bright colors. The pike are attracted to bright colors and so you want to think in the line of fluorescent skirts matched with gold or silver blades. Another common feature you need to think about when picking out any combo is durability. You basically want to go with something that’s corrosion-resistant. That way, you can confidently use it to face salt water as well as freshwater fishing environments. And of course, you also want the combo to be easy to handle. Only a comfortable and grippy handle will help you retain a firm control even when the fish is fighting hard. The Penn Squall Level Wind Combo is what in our opinion qualifies as the best rig for big game fishing. Northern Pike clearly falls in that league and that’s why we’d specifically recommend going for this combo over any other. No matter the rod and reel combo you settle for, you want to ensure that it’s powerful and resilient. Most importantly, it should bear the ability to cast for long distances and with great accuracy.